Hi everybody! It’s me, Lightning! I heard that some people don’t like the Starbucks Christmas cups this year. People are silly. 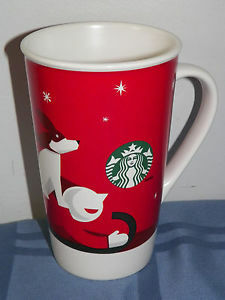 My favorite Starbucks Christmas cup was the one with a dog on a sled but the contents of the cup, that’s the main thing. I don’t even mind that most of the time my pup cups have someone else’s name on them. I Love to Go to Starbucks!